Smart Irrigation controllers reduce outdoor water use Smart Irrigation Controllers set unique watering schedules and run times automatically to meet your landscapes specific needs. With proven technology to improve outdoor water use efficiencies on average 30% to 50%. Controller Link is a simple upgrade for existing sprinkler timers to provide climate controlled irrigation Controller Link saves water by managing irrigation, based on real-time weather conditions. Who Benefits from Weather Reach? Our lives depend on plants and water. USDA estimates that 80% of our country's water resources are used for irrigation. Lawns and Gardens enhance our communities, beautify lving space and welcome people to our homes and businesses. Every time you water your lawn you are spending money. 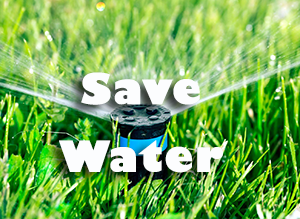 By watering less often, your water bill will go down, offsetting rising water rates. Horticulturist have suggested for years that watering deeper and less often creates a better environment for your landscape and uses less water in the process. Smart irrigation knows when to water so your landscape will still get the water it needs, while saving you money! Farmers are using water more efficiently and producing more food. We can do the same. We can sustain beautiful healthy landscapes and do it with less water. Smart irrigation control knows when plants need water. Too often sprinkler controllers are set and forgotten. Water is being wasted because plants are being watered too often. Climate controlled irrigation sustains healthy landscapes and conserves water by watering only when the plants need it.